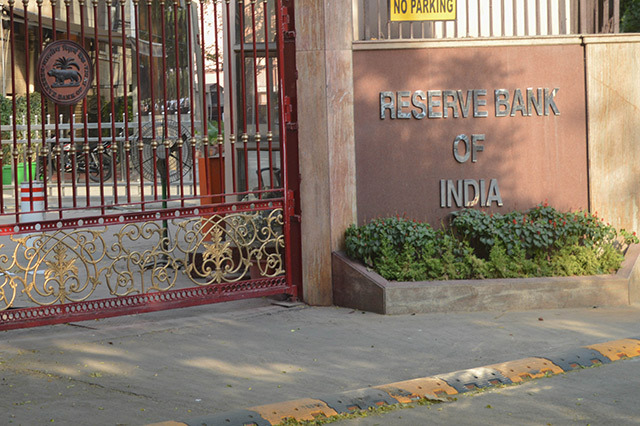 The government is looking to form a new panel to identify candidates for the position of the next governor of the Reserve Bank of India, according to a report. The Financial Sector Regulatory Appointment Search Committee, which was set up last year, has not been tasked with shortlisting candidates for RBI governorship as that post is of the rank of the Cabinet Secretary, who heads the committee, The Hindu Business Line reported citing sources. The new committee is likely to be set up through the Prime Minister’s Office and the next governor is likely to be named by August, the report said. The move comes after RBI governor Raghuram Rajan announced his intention to return to academia on the completion of his three-year term in September. Global real-time payment processing firm MasterCard is looking to invest $700-800 million in India by the end of 2020, The Hindu Business Line reportedciting Porush Singh, country head for MasterCard in India. The major portion of the proposed investment, which is double the $400 million it has invested in India from 2014 till date, will go into processing, mobile technology and solutions and data analytics, he said. Some investments will also go towards royalty for technology as a whole and not related to MasterCard. Tata Communications Payment Solutions Ltd has decided to sell its ATM business and is targeting a valuation of Rs 1,000-1,300 crore ($150-200 million), The Economic Times reported. The wholly owned unit of Tata Communications Ltd had carved out Indicash--the division that owns the so-called white-label ATMs rented out to multiple banks--as a separate company in 2013. Now, the company is looking to divest its entire holding in this business by inducting a strategic buyer, the report said. It has approached a set of Japanese and US-based companies for a deal, the report said citing a source privy to the matter. Tata Communications Payment has appointed BNP Paribas as the investment banker. The government is looking at an additional capital infusion of Rs 10,000-12,000 crore in public sector banks in the current financial year, so as to help them sail through the mounting bad loans, Business Standard reported. In the Budget 2016-17, the government provisioned Rs 25,000 crore for state-run banks. However, finance minister Arun Jaitley has repeatedly said the government would provide additional resources if required. Banks have now sought additional recapitalisation from the government to meet capital adequacy requirements, the report said. The Cabinet is likely to take the proposal of the mega-spectrum auction, which will saw airwaves worth Rs 5.66 lakh crore put on sale on Wednesday. The timeline for the acution will only be decided after the Cabinet approval, the Press Trust of India reported. The government is looking to garner up to Rs 64,000 crore through the auction of about 2300 Mhz of spectrum and Rs 98,995 crore from various levies and services in the telecom sector. The main document of auction is likely to be issued by July 1, followed by a pre-bid conference on July 6 and bidding from September 1, the news agency said. The auction would include sale of most premium 700 Mhz band at a price of Rs 11,485 crore per Mhz. The cost of delivering mobile services in this band is estimated to be around 70 per cent lower than 2100 Mhz band, used for providing 3G services. The income tax department is charting out an action plan to widen its taxpayer base, which is currently at 54.3 million, as it is aiming to spend more to keep the economy buoyant, Mint reportedciting a copy of the plan that it reviewed. In order to widen the tax base, the I-T department will devise region-specific plans to track transactions without a valid permanent account number (PAN) and also bring to book the 5.9-million odd people who do not file tax returns, as per action plan of the Central Board of Direct Taxes (CBDT) for 2016-17. The number of non-filers was around 1.3 million three years ago. The CBDT has directed taxmen in every region to pursue potential taxpayers such as professionals, businesses and their employees who escape the tax net. India has ranked 10th in terms of foreign direct investment globally and fourth in developing Asia with an inflow of $44 billion in 2015 as against $35 billion in 2014, as per a report by the United Nations Conference for Trade and Development (UNCTAD). "New liberalisation steps enacted since the inauguration of the new government have contributed to attracting FDI from all quarters,” the World Investment Report 2016 said, according to a report in The Economic Times. China, with more than three times India’s FDI at $136 billion in 2015, is ranked third in terms of FDI flows among all countries. In terms of greenfield investments, India received $63.44 billion in foreign investment commitment, more than $59.4 billion for China. The government has no plans to allow foreign airlines to completely own a local carrier, the Press Trust of India reported citing civil aviation secretary RN Choubey. The government recently relaxed FDI norms, allowing foreign entities (except overseas carriers) to own 100% stake in domestic airlines. The government expects the move will increase competition in the aviation sector and bolster growth. The limit for foreign carriers remains at 49%. The launch of the proposed Unified Payments Interface (UPI), an initiative by the Reserve Bank of India governor Raghuram Rajan who is scheduled to step down in September, is expected to get delayed due to unfinished technicalities, Hindustan Times reported. UPI aims to make money transfers via mobile banking as simple as sending text messages. Both State Bank of India and Bank of Baroda are set for September launch as the roll out will be delayed by gaps in completing security and ease of transaction systems. Earlier, they were planning to launch the payment plan on July 15. The National Payments Corporation of India, an umbrella organisation for all retail payments system, launched UPI last month. The rollout was to be done phase wise, with the NPCI selecting 29 banks in the first phase with a rollout in June. Of the total, 17 of those banks including Punjab National Bank, Union Bank of India, ICICI and Axis Bank are expected to roll out their UPI enabled apps next month.